Check out this new item released today, Apr 15, 2019, on Shop Disney. The price for this item is $89.95. 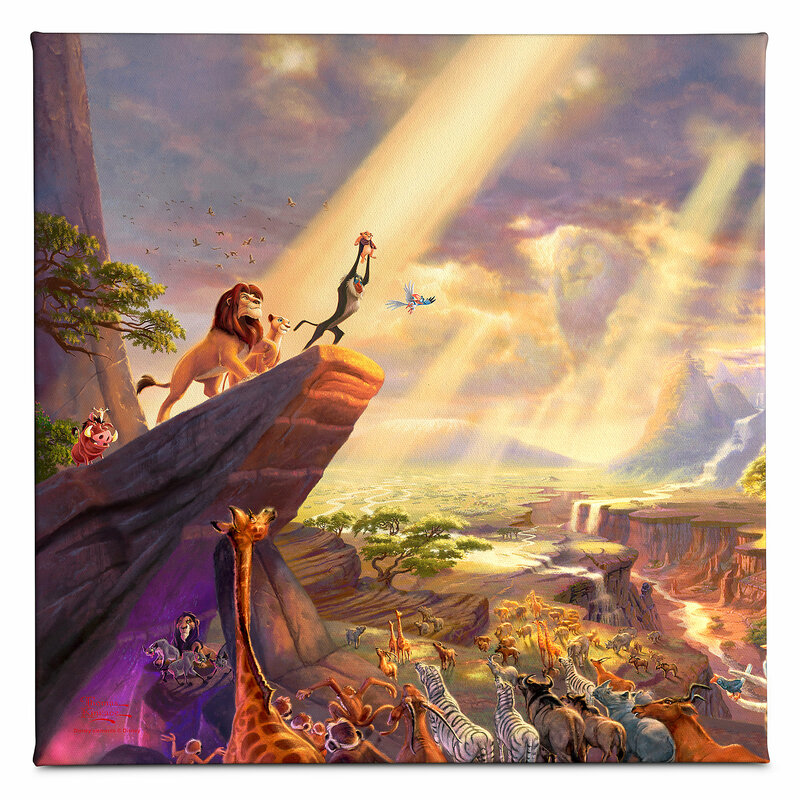 This Thomas Kinkade Gallery Wrapped Canvas captures all the power and pride of Disney’s animated film The Lion King in the inimitable Kinkade ”Painter of Light” styling. 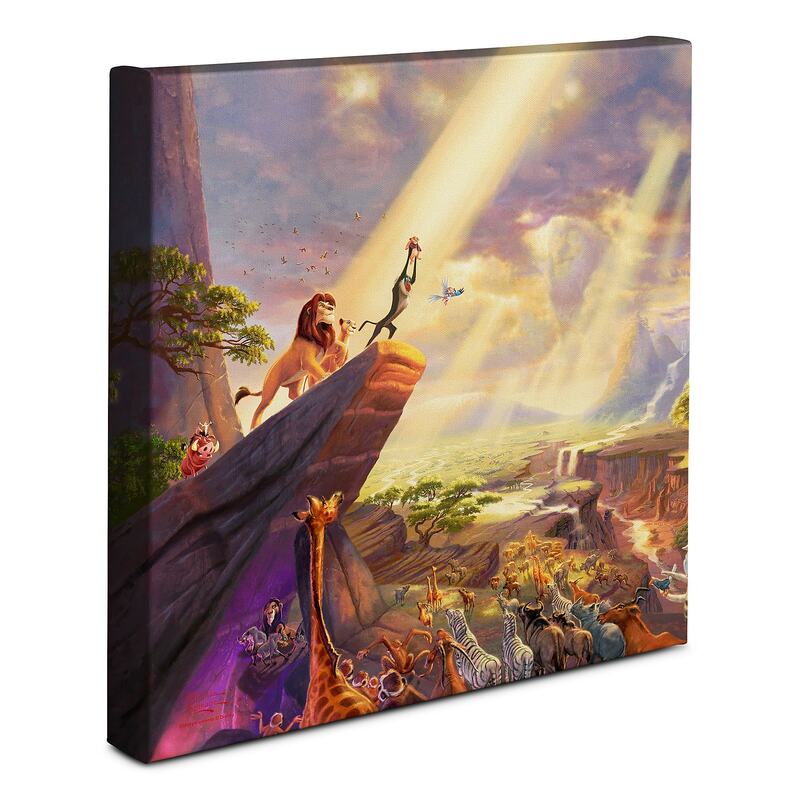 If you want to order ‘''The Lion King'' Gallery Wrapped Canvas by Thomas Kinkade’, you can do so by clicking this link which will take you right to the product.